In 1976 New York was on the verge of bankruptcy. With a billion-dollar deficit, the streets were a crime hot-bed, and an uncertain, unsafe mist stagnated over the city. Desperate to increase tourism and transform the city’s grim image, the New York State Department of Economic Development hired the ad agency ‘Wells Rich Greene’, who in-turn hired graphic designer Milton Glaser to develop a marketing campaign for New York State. 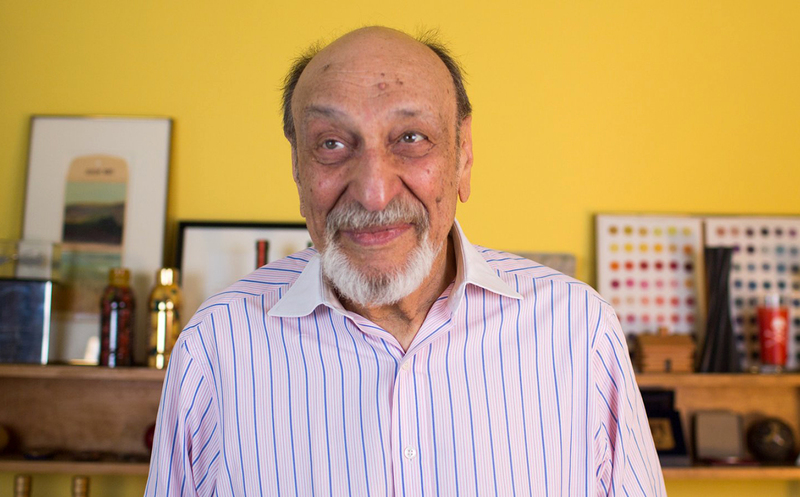 Born from an idea he had sparked a week previously, in the back of a taxicab, with a red crayon and a torn envelope, Milton Glaser sketched a logo that would later become central to the creation of modern New York. As we approach the 40th anniversary of it’s creation, Underscore celebrates Glaser’s ‘I Love NY’ logo, an emblem which helped change the city’s fortunes and became one of the most recognisable emblems ever created. The original marked envelope and subsequent concept boards are now a permanent collection feature at the Museum of Modern Art, where senior curator of Architecture and Design Paolo Antonelli proclaims: “I consider it to be the first emoji… It is universal and joyful, irresistibly so, and it is flexible; it can be used to show love for a megalopolis or for Vegemite.” Perhaps too the first modern ‘meme’, a term coincidentally coined the same year as Glaser’s cab ride by Richard Dawkins. Later suggesting that he may have been subliminally influenced by Robert Indiana’s LOVE pop art image, Glaser’s innovative pop-style icon became a major success and continues to be so today. The logo represents New York State as a whole – from Long Island to Cooperstown, to the Hudson Valley, to Niagra Falls. But it is Manhattan where you feel it most. The image became especially prominent following the September 11 terrorist attacks on the city, which created a sense of unity among the populace. 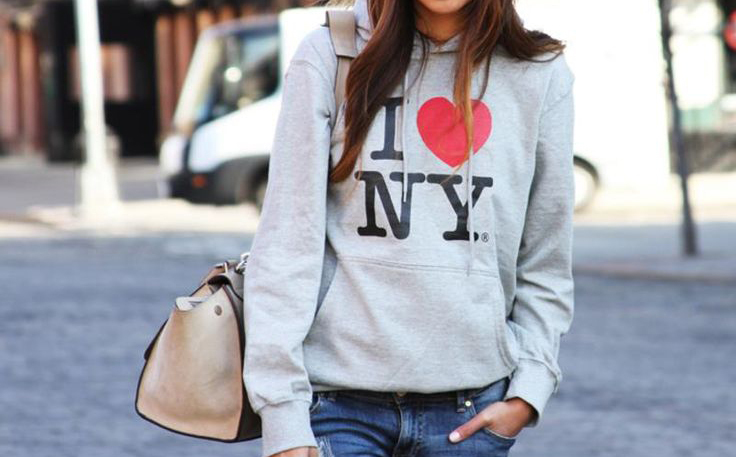 Many visitors to the city following the attacks purchased and wore the shirts bearing the I Love New York logo as a sign of their support. Glaser created a modified version to commemorate the attacks, reading “I Love NY More Than Ever”, with a little black spot on the heart symbolizing the World Trade Center site. Whether you believe a design breakthrough to be born from a ‘Eureka’ moment or scrupulous detail, one thing to take away from this exceptional example is that design can cross boundaries and ‘speak’ to a vast scope of people. Making it clear that symbols and icons can still translate a message effectively and inclusively, not to mention lucratively.